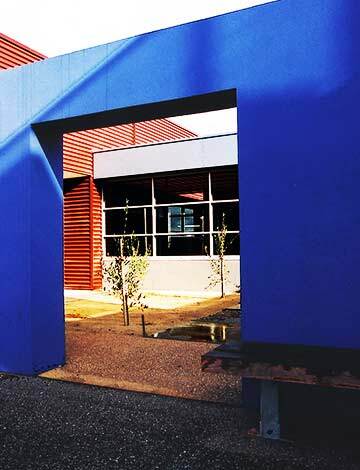 Green & Dale Associates worked closely with the Architects, Williams Ross, to develop a creative industrial landscape design, which interpreted the landscape of the Western Plains of Victoria, as well as creating a vibrant working environment. 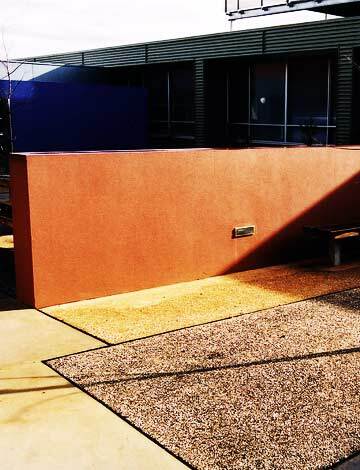 A key objective was to create an attractive environment for the workers of this industrial complex, using colour and industrial materials. 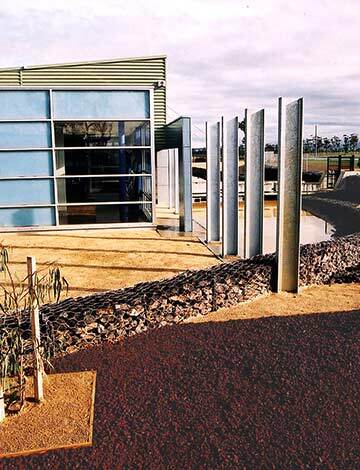 The project engages sustainable design and environmentally responsible building techniques, and focuses on sensitive design of stormwater retention, treatment & re-use as a feature of the design approach.